New and exclusive! 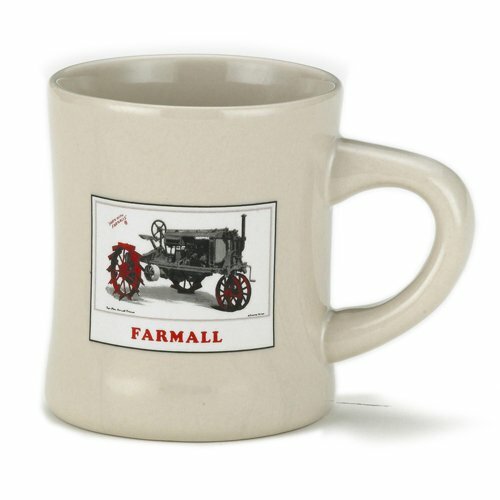 This white stoneware with gray tractor diner-style mug features a vintage McCormick Farmall tractor image on the side. Heavy and high quality.